What Does Color Say About Your Brand? No Comments on What Does Color Say About Your Brand? An exceptionally strong logo design is often a fascinating combination of art, design and psychology that can (pardon the pun) brand itself into the minds of an audience. Shapes and often text are coated in a splash of color with the purpose to evoke an emotional response that is easy to identify, interpret, and remember. What does your logo say about your company? Are the shapes round and playful or are they straight, firm, and strong? How about the logo’s color does it embody your company’s culture? 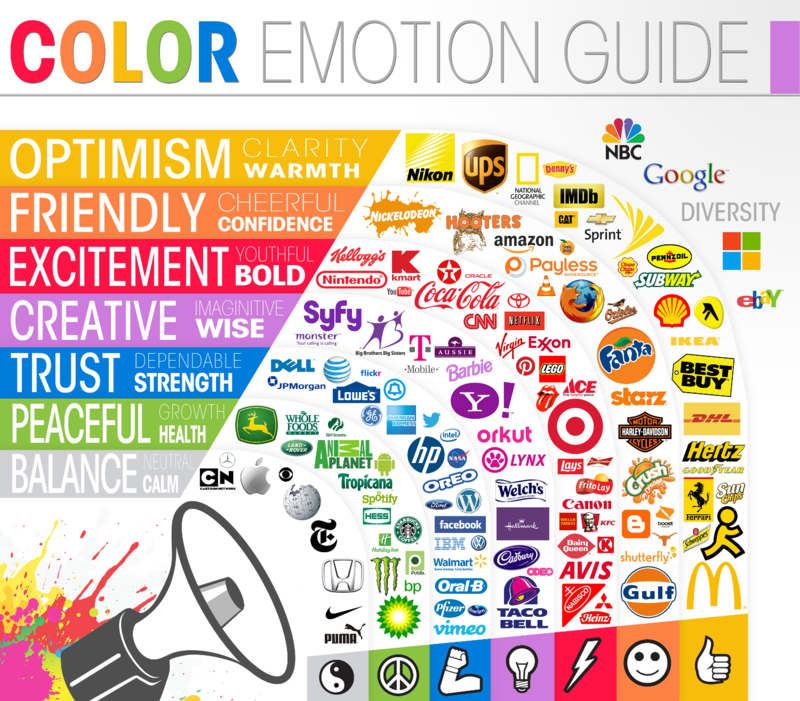 Below is a brilliant chart that describes the emotions associated with color and the logos for brands that fit.